The Dallas Cowboys haven't made it past the divisional round of the playoffs since they won the Super Bowl after the 1995 season. It's been 23 years -- a streak North Texas is ready to snap. In studio with the crew at G-Bag Nation at 105.3 The Fan on Monday, the talk was all about the boys in blue. "The Rams Saturday night, I'm, feeling pretty good about this," host Gavin Dawson said. "If the Cowboys win, the 7.5-to-1 bet that I made with $100 two months ago pays off!" "But Mike, as a man not in poverty, you're rooting to lose that bet?" asked Jeff Cavanaugh to his co-host who placed that bet, Mike Bacsik. 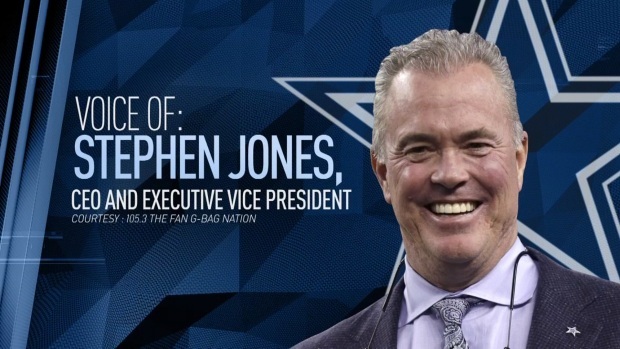 During his weekly radio show with the GBAG Nation on 105.3 The Fan, Dallas Cowboys CEO Stephen Jones talks about beating the Seahawks, the America's Team fanbase in LA and keeping defensive coach Kris Richard. All bets are off when the team, fresh off a victory over the Seahawks, hits the field this weekend. Dak Prescott is already the youngest quarterback in Cowboys history to win a playoff game. "I think if Dak can win on Saturday night, all of the sudden, in the legacy of the Cowboys for most people... he bumps up to the third most successful Cowboys quarterback," Bacsik said. "Quarterbacks are defined by January," Cavanaugh said. After Saturday's nail biting finish, like Ezekiel Elliott, fans at The Star in Frisco were hungry for more. "Oh, we're excited. We know we're gonna win. We're not worried about it," Mimi McCutchen said. We spotted the Cowboys fan teaching her young son to "feed Zeke" -- the running back's signature move. 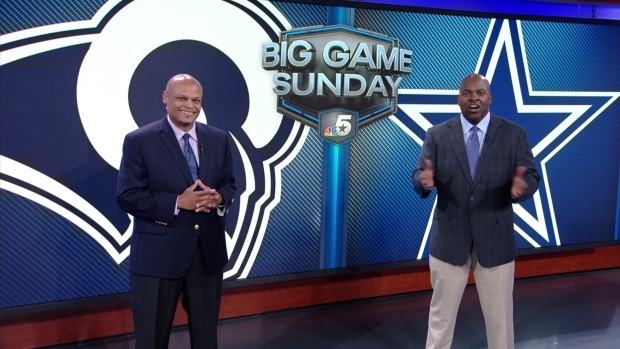 After a win over Seattle in an NFC Wild Card playoff game, NBC 5 Sports Director Newy Scruggs and Cowboys Insider Jean-Jacques Taylor say the Cowboys are playing with house money when they take on one of the best teams in the NFC on the road Saturday. Derrick Wells, a lifelong fan visiting from Southern California, said he's proud to represent his favorite team when he returns home. "I'm proud to say I'm a Cowboys fan and surprisingly we have a lot of Cowboys fans out there," Wells said. "I'm 100 percent sure Cowboys are gonna do it." He joins the many local families showing support. North Texas seems to be ready for another Cowboys win. For people going to the game, it's going to be expensive. After Chicago Bears kicker Cody Parkey missed a field goal and Dallas became the opponent, prices spiked by more than 100 percent.